Forty-two states have some form of cottage food law on the books. As Forrager details, these laws can be broad and sweeping, or narrow and restrictive. If you live in a state with no cottage food law, don’t throw in the kitchen towel. Get active with the cottage food movement in your state. After all, we live in the land of the free and we want the freedom to earn from our own kitchen. Every cottage food law passed in the last decade has resulted from an initial individual citizen organizing others in their state to come together to get the bill passed, with the help of the state representative who sponsored or co-sponsored the bills. The laws are inspired by the artisan bakers, picklers or jammers, just like you. These food entrepreneurs organized, set up a Facebook page and met with their representatives. Democracy works when We the people are engaged. Likewise, if your state law is limited — if, say, you want to sell cookies but your current law only allows you to sell high-acid pickles and preserves — then you too will need to take democracy by the horns and advocate, lobby and amend an existing cottage food law to include such items. Or, depending on your state’s legislative protocol, this expansion may require a full new cottage food law. Consider collaboration the yeast that rises to the occasion and brings cottage food legislative change to life. We home cooks harbor business dreams and kitchen expertise, but we lack the deep pockets and big checkbooks others might have to influence politicians. Therefore, we need numbers. Numbers of people, people who vote. We need to demonstrate to our elected representatives the strong and widespread interest in cottage food law and the positive entrepreneurial impact it will have on our state’s economy. Your first call should be to your own representatives. In most states, this consists of two elected officials: one from the state senate and one from the state house of representatives, just like on the federal level. Whether or not you voted for them, these elected officials should be your most loyal champions, since you’re their constituent. You’ll probably deal with your representative’s aides and not him or her directly. Don’t feel slighted. The legislator’s staff forms the influential group that gets things done in that office. Staffers can also give you a snapshot of any pending cottage food legislation and other history, like past failed attempts at passing a similar bill. Your state representative most likely will have a small staff of a few people. The best option would be to connect with their chief of staff or the person who covers issues related to the department of agriculture or commerce. Is there an existing statewide group that could adopt and champion your cause? This will help tremendously to provide both organizational strength as well as legitimacy to your proposed legislation. The more you can prove to representatives that the cottage food movement is a big deal with strong impact potential to your state’s economy, the better your odds. Affiliating with a kindred-spirited non-profit group will help. 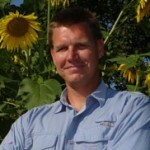 This will often be a sustainable agriculture advocacy group, since cottage food fits their mission of supporting family farms. Such an organization may also bring experience in the lobbying front and have a policy or government relation’s person on staff to assist and advise. The Illinois Stewardship Alliance helped shepherd cottage food legislation in that state and we’ve partnered with the Wisconsin Farmers Union in our efforts to expand cottage food law in our state to include baked goods and increase the sales cap. The pulse of your plan for cottage food law change comes from others just like you: fledgling food entrepreneurs who need this legislation to bring their kitchen business dreams to life. Do a thorough check to see if anyone is already organizing in your state and join forces. Start a Facebook page, like the one for the Texas Baker’s Bill (with over 9,500 FB likes), or a webpage to connect and keep an e-mail contact list to get information out in a timely manner, especially when the bill is up for a vote and you need volumes of calls urging support to representatives across the state. When you gather these partners, particularly your state representatives and kindred organizations savvy in the legislative process, get an immediate sense of the legislative schedule and how your proposed bill fits in. Most state governments operate under a fairly tight and specific schedule dictating when they meet for a vote and approximately how long it takes to shepherd a bill through the vetting process beforehand. This vetting process often includes committee meetings where the bill is discussed and the pubic is invited to provide testimony. Of particular importance, these committee meetings provide an opportunity to organize supporters who, with their oral and written testimony, influence the committee to support the bill. If the committee does vote for it, the bill then moves to a full vote in either the state assembly or senate. Cue the Schoolhouse Rock song for a review of how your bill will become a law. Realize your state legislature might only meet once or twice a year to vote on bills. If your bill doesn’t make it through committee in time, it may have to wait a year, only to start the process all over again. The democratic process can really drag. Occasionally, however, bills are “fast-tracked,” usually (in our experience) because the process has been greased by outside campaign donations, political maneuvering or other monetary influences. The cottage food movement by its very nature does not have big lobbying bucks or deep pockets behind it, so it may creep along like a glacier. We can foster patience and determination while simultaneously advocating and championing the grassroots, people-driven story. Get your inspiring tales of food businesses that such legislation would jumpstart out to the media. Write an op-ed for your local or state newspaper, a sample of which is featured on the Homemade for Sale website (homemadeforsale.com). Apply a supersize dose of patience if your proposed legislation fails. Ready yourself for a good fight on the next round. 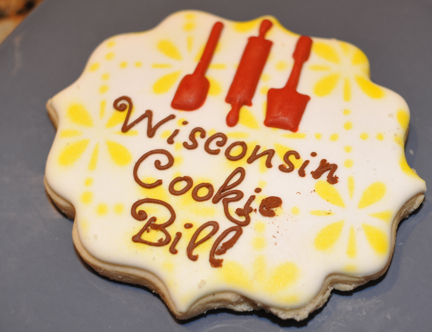 In Wisconsin, for example, we learned this lesson well when advocating for a “Cookie Bill,” proposed legislation to expand our cottage food law to include baked goods and increase the gross sales cap. Despite the fact that our bill received strong bipartisan support throughout the legislative process, passing committees and the full senate unanimously, it did not get onto the agenda for a vote on the assembly floor in the final round. By failing to put it up for a vote, the speaker of the house, who unilaterally sets the voting agenda, used his political position to effectively kill the bill for another year by omitting it from the agenda during the last session. A blessing in disguise? Regrouping and plotting our strategy to reintroduce the bill next year, we’ll be aiming even higher by increasing the gross sales cap and including greater product opportunities more in line with other states’ cottage food laws. As they say, it’s never over until it’s over.